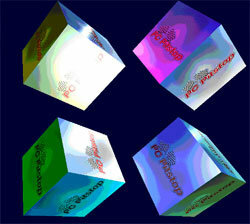 On August 26th 2008, PC Pitstop added the long awaited 3D video test to OverDrive. The goal was to provide users with an accurate assessment of their systemâ€™s 3D capabilities, and do it in less time than anyone else. To ensure scalability we used a suite of tests covering 6 areas of performance. Now you can measure your systems Transform, Lighting, Multi Texturing, Blending, Vertex Shader and Bump Mapping and get results quickly. The 3D suite completes in only 30 seconds. This is much faster than others requiring 5 to 10 minutes. With 2D and 3D combined, Overdrive now offers a very comprehensive assessment of your systemâ€™s graphic hardware. Our friends and users have run over 100 million tests since Pitstop’s inception. This gives us an extremely diverse database and provides a ranking system that is unequaled. Whether youâ€™re a high end gamer with a multi-card setup, a Web Site designer or business user, Overdriveâ€™s World Ranking will tell you exactly how your system stacks up. The new 3D test suite is just one more part of what I consider to be the best software ever designed to keep your computer at peak performance. PC Pitstop has provided free testing since March 3rd, 2000. Each year has seen significant improvements and additions to what has now become the most comprehensive and useful test suite available. OverDrive provides more hardware, performance, and security information than most other softwares combined. Not only does OverDrive give you information, it offers practical tips on how to fix problems, tune your systems, and it does it for free. Enjoy the new 3D test suite and please give us your feedback while we ready the database. The Pit Blog 3d capabilities, bump mapping, goal, hardware, information, New, OverDrive, PC Pitstop, system stacks, vertex shader. permalink. This was just what I was looking for… Thanks! I just got 8454fps on an ASUS engtx 260. It ranks in the top 1% on the test but it isn’t on the list. It’s an o.c.’d version of the gtx 260. I’m sorry guys but computers never lie. Test ran great with my AMD dual core and 9800 GTX. VERY pretty. I’m glad that I traded in my ATI card that kept running at 65 C and up past 77 C for my cooler running 9800 GTX. I have the ASUS ENGTX 260 TOP, an overclocked version of the geforce gtx 260, and everything published on the net shows it outperforming the 280 with most 3d content and I definately believe it. Amazing video card and with my entire system setup it ranked in the top 27%. 8767fps with ATI-based 4870 with 512mb ddr5 gpu overclocked via catylist control center to 790 mhz and memory overclocked to 1005 mhz. I guess my AMD based Spider system is in the top 11% of tested computer systems. Cool. Single video card installed, MSI motherboard will accept 4 (790fx chipset). 3D TEST WOULD MAKE A NICE SCREENSAVER, WHY DON’T YOU DO THAT???? EVERYONE WOULD PROBABLY DOWNLOAD IT THE FIRST DAY, VERY NICE. S3 Graphics ProSavageDDR – S3 Graphics Ltd. I have no problem with running the stand alone tool because as of now I will have to keep running the DE BUG to tune up my system, which is what i did. 3D test is a nice addition! It’s worked well on these AMD and Intel comps since Aug 27th, both have XP SP3. The comparison between my old Athlon FX-53|2.4GHz|GeForce 6800GT at 954fps and new Asus laptop/Penryn 2.5GHz|GeForce 9500M at 1322fps really shows the improvements in video cards over four years’ time. The 3D tests ran nicely….very interesting graphic. The AMD 780G onboard ATI HD3200 graphics engine returned 465fps which, I guess, is pretty good. The 3d test just crashed one of my computers,twice, a pentium 4, mb is d865GLC, memory 756 running win 2000. To those of you that are having trouble with the new 3D test, can you please post the make and model of the display adapter, what browser you are using when you run OverDrive, and if you are able and willing to run a stand alone tool for us that will provide more information? The scan worked great. I`ve already made some recomended tweaks, for better or worse, we`ll see? Let ya know! Could not finish scanning. Message: Internet Explorer encountered a problem and has to close. I have tried to run the test twice and each time Internet Explorer finds a problem with Add on 3D.dll and closes down. CanI resolve this. PS still unable to purchase Optimise 2.1 My card company declares its is due to a problem with my address, I have complained formally as the “billing info” you hold is correct,looks like one of their records changing my postcode from 03180 to 03184 has not been update, yet they have sent me a statement to this address mid Aug when this problem started, causing you all the inconvenience.